Living an active lifestyle is crucial for health and well-being. Whether you choose to work out in a gym, attend studio classes, or engage in competitive sports to stay active, the right equipment helps you perform better. You invest in workout clothes and shoes, so why should your gym bag be any different? Gone are the days when people still used traditional duffel bags for the gym. They now come in so many styles, colors, and sizes; they are designed to carry your exercise essentials where you need them. For some people, investing in a good gym bag isn’t necessary because any bag can serve this purpose. But for those who take their workouts seriously, a good-quality gym backpack makes all the difference. It can double as a hiking/ school/ overnight/ carry-on bag, giving you more bang for your buck. Perhaps most importantly, a good gym bag adds excitement to the workout. In the world of gym bags, the Under Armour Hustle 3.0 Backpack stands out. This incredibly good-looking bag is an essential backpack for anyone who lives an active lifestyle, no matter how old you are. It’s a tough one; made with state-of-the-art Under Armour Storm technology to give you a highly water-resistant bag that can protect your belongings from the elements. Its bottom panel is resistant against abrasion, so you can have peace of mind knowing your bag won’t incur any damage even if you carelessly plop it down dirty, sweaty gym floors. But perhaps the best feature of the Under Armour Hustle 3.0 Backpack is that it’s so versatile. Looking at it’s construction and style, it doesn’t scream out “gym bag”. You can use this backpack for school and work too, since it already comes with a soft-lined laptop sleeve that’s good for 15-inch computers. Say goodbye to the hassles of having to switch bags when you’re going to the gym straight from work. This bag can also be used for traveling and hiking. It can withstand outdoor use because of its water repellent features. The 30-liter capacity of this bag is more than enough for use to and from the gym. But no matter what you stuff into it, the adjustable HeatGear shoulder straps makes it comfortable to carry. This is important for people who haul a lot of equipment like water or hydration, shoes, a change of clothes, towels, and sports gear which can get pretty heavy. It just doesn’t make sense to lug around a duffel bag if it’s going to cause discomfort or pain to one side of your body. Under Armour is renowned for creating high-performance athletic wear. From clothing to shoes and accessories Under Armour’s products are designed to support an athletic lifestyle. They are known for their terrific quality, with products that will last you a lifetime. The Under Armour Hustle 3.0 Backpack is no different. Made from 100% durable polyester, this bag is ideal for even the most demanding athletes. You won’t have to worry about style as well since this bag’s aesthetics are incredible while remaining neutral enough for both men and women. The front valuables pocket is water repellent, so even if you stash your credit cards and mobile phone in it, they are protected from sweat, water, and rain. When working out, hydration is always important. Keep your water bottles safe at the side pockets, which are secure enough to ensure they never fall out. The bag’s bottom has a pocket that can be used for shoes or used gym clothes; a really thoughtful feature, to be honest, because who wants the smell of sweat going on your valuables? This is something you won’t find in a standard backpack. On top of all that, the Under Armour Hustle 3.0 Backpack is extremely comfortable to wear. It’s loved by kids, teens, and adults alike who use it for its many wonderful applications. The Under Armour Hustle 3.0 Backpack has proven to be a customer favorite, spanning many bag categories because of its versatility. We’ve had a look at what customers had to say about this bag, and it’s clearly the favorite gym bag of many but several also rate it highly for other uses. According to reviews online, many customers were happy that they made the switch from a duffel bag to the Under Armour Hustle 3.0 Backpack for the gym. People have commented about how the many different pockets come in handy because it helps them stay organized. Parents have purchased this bag for their kids’ school use, and are extremely pleased with it. However, some customers weren’t too happy about the fact that it doesn’t have any sternum straps. A few found it too small for their needs, even though thirty liters is a generous capacity for a gym bag. Overall, customers are extremely satisfied with its quality, build, and practicality. 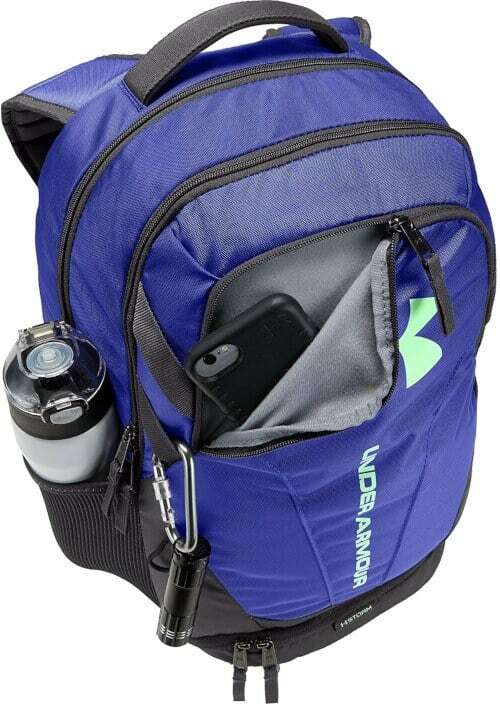 It’s the number one gym bag in the market, but the Under Armour Hustle 3.0 Backpack is multipurpose as well. 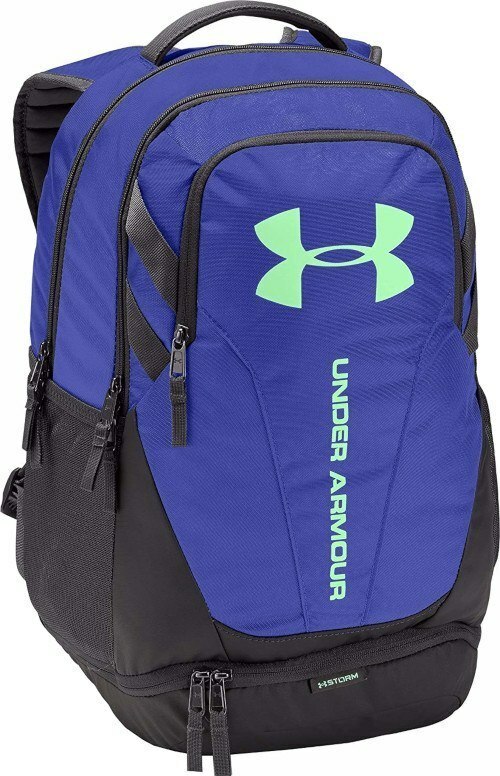 The Under Armour Hustle 3.0 Backpack is available online, from many reputable retailers such as Amazon. Be sure to shop around before deciding, so that you can make sure you get the best price on this bag. We invest in gear and equipment for an enjoyable workout. We should do the same for the bags that hold our belongings. 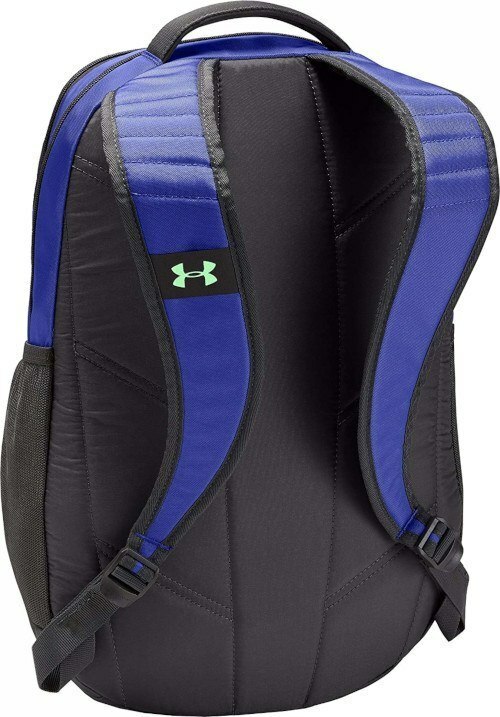 The Under Armour Hustle 3.0 Backpack’s thoughtful features champion the rest in the market, and you can also have peace of mind knowing that you’re buying from a brand that specializes in high-performance athletic equipment.